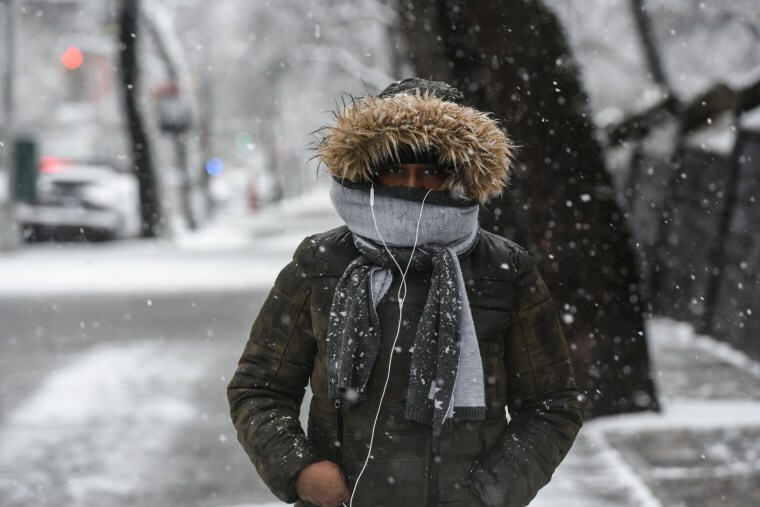 A second nor'easter hit the Northeast on Wednesday, just days after a deadly winter storm left hundreds of thousands without power. 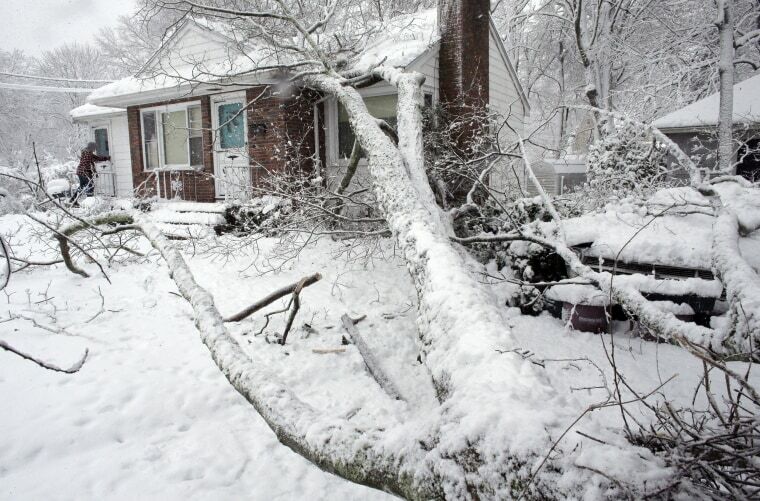 Brian Farrell enters his home on March 8 after a tree fell on the house and a car, right, in Walpole. 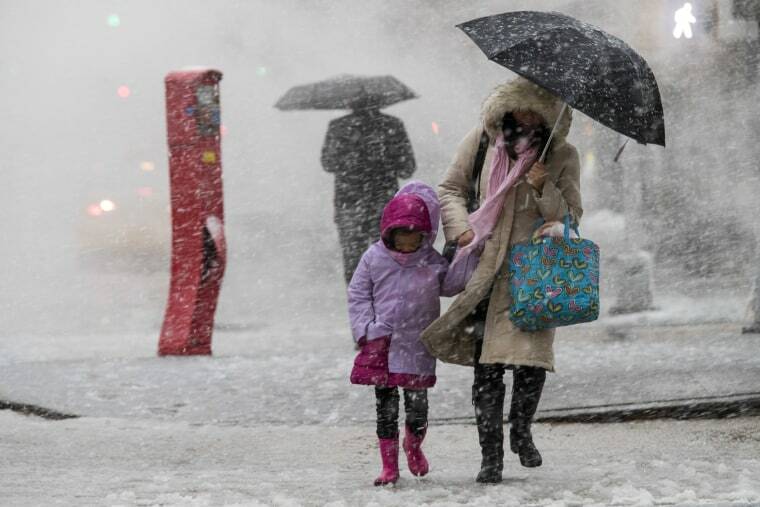 The second big, blustery storm to hit the Northeast in less than a week brought wet, heavy snow Wednesday to a corner of the country where tens of thousands of people were still waiting for the power to come back on from the previous bout. 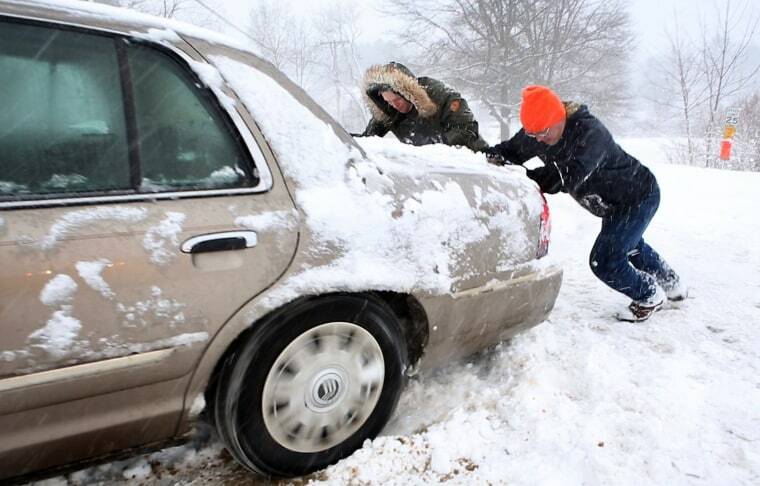 Good Samaritans push a motorist who was stuck in deep snow on March 8 in Freeport. 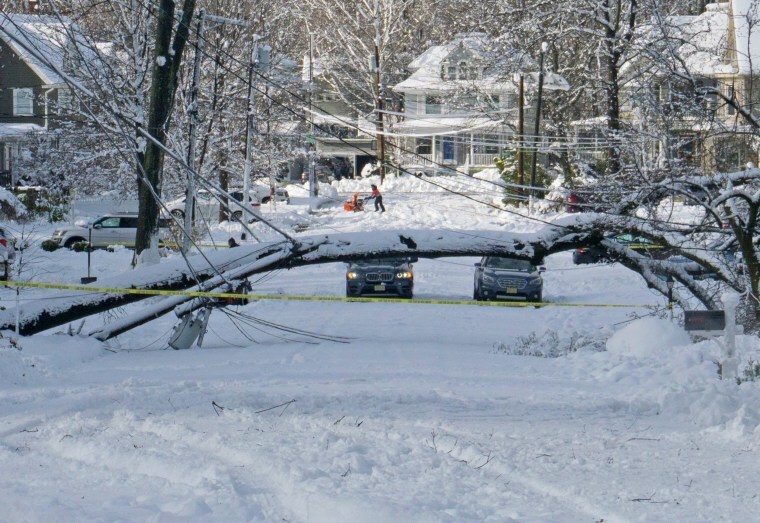 Residents begin to dig out after the storm brought down trees and power lines in Westfield on March 8. "When that tree came down it sounded like a gunshot," said one neighbor. 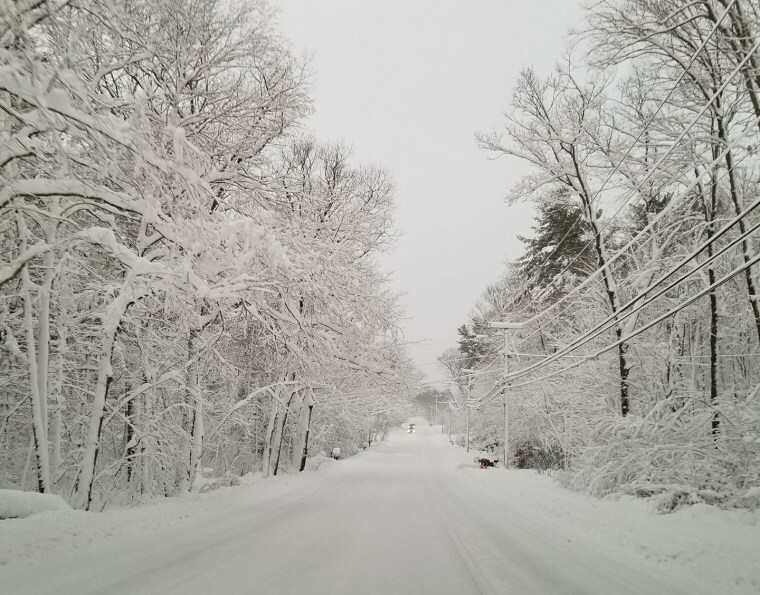 A snow-covered road in Derry on March 8. 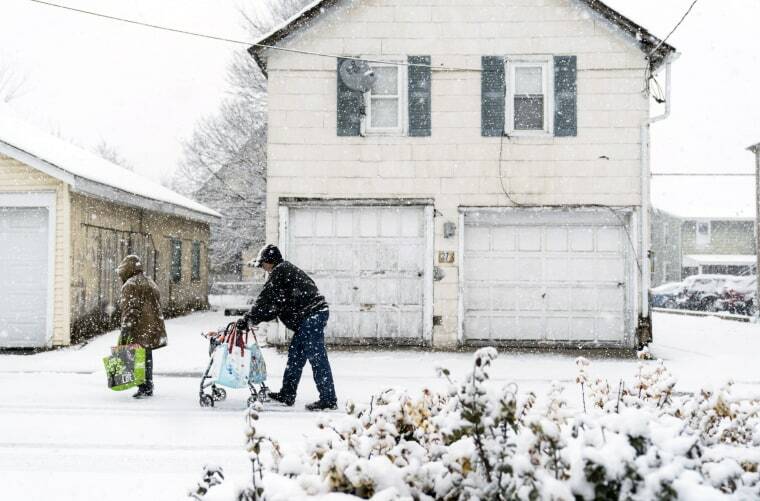 A man pushes a walker through the snow on March 7 in Quakertown. 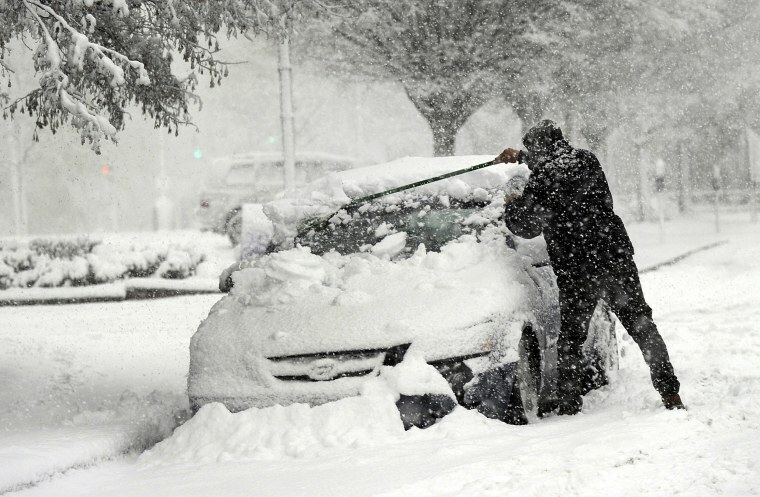 Pedestrians walk along Delancey St.
A man clears snow off of his car on State Street in Danbury. 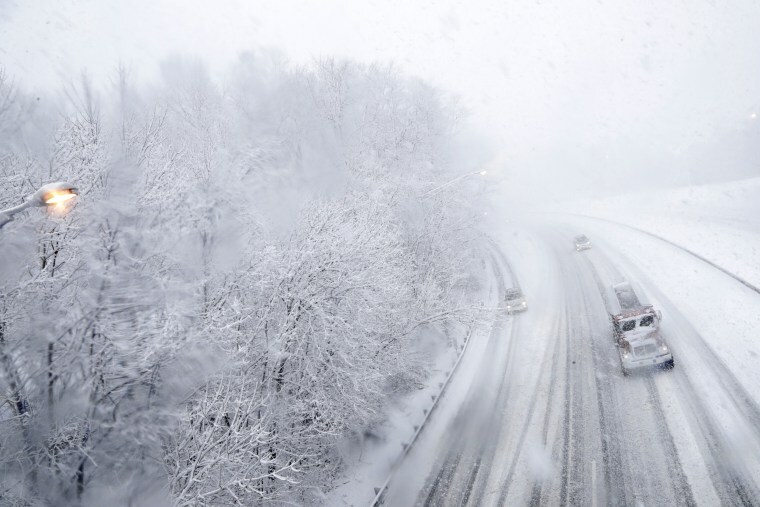 Vehicles ride northbound over a snow-covered Interstate 287 in Morristown. A pedestrian bundles up to brave the snow. 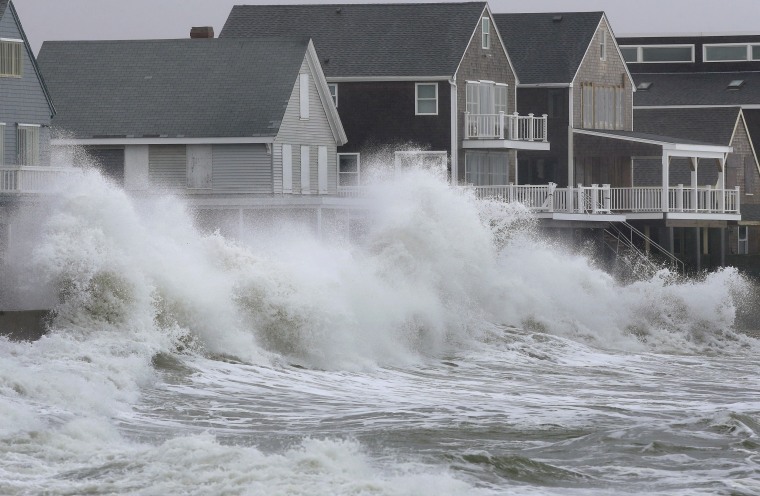 Waves crash against a seawall and houses in Scituate. 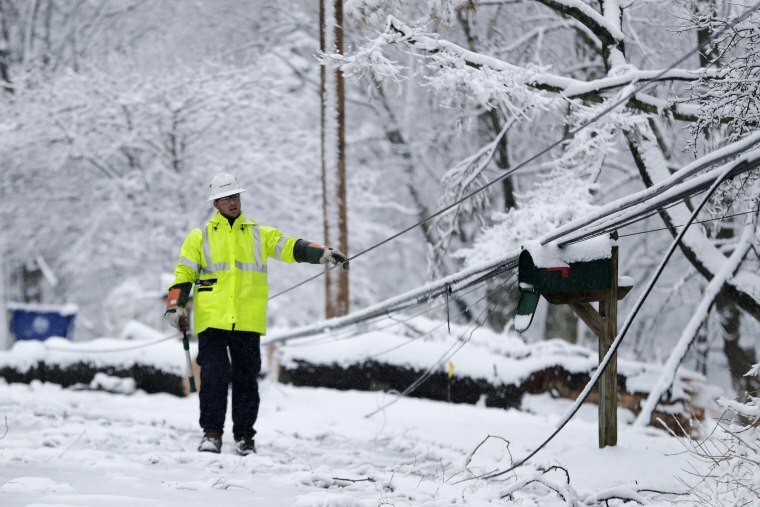 Hunter Weaver, a utility worker with PotomacEdison out of West Virginia, inspects downed lines from last Friday's storm as a crew works on restoring power along Molly Stark Drive on March 7 in Morristown. 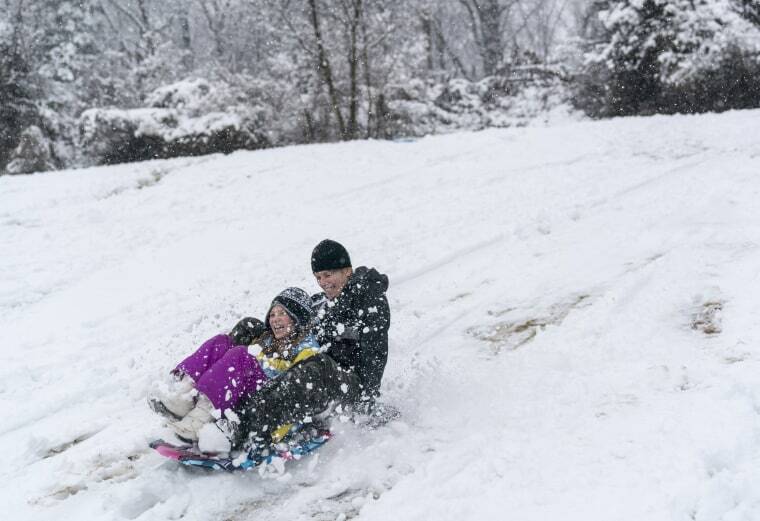 Corrina Kratz, 10, and Melanie Gold sled down a hill in Perkasie. 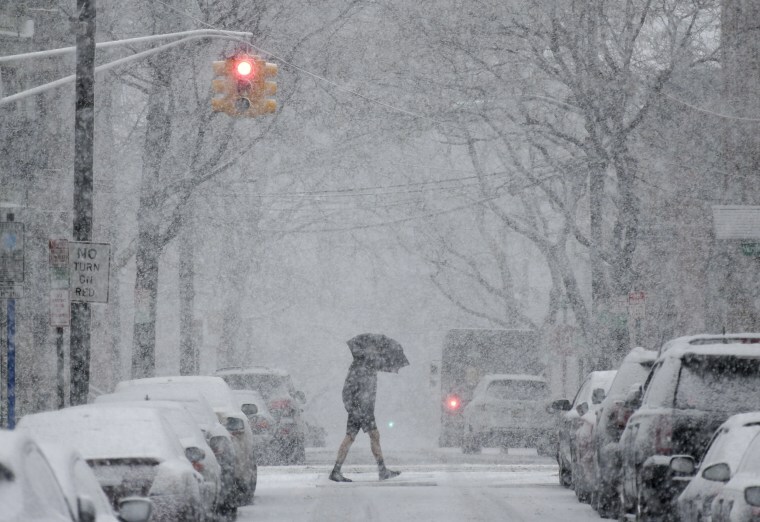 A man crosses the street wearing shorts. 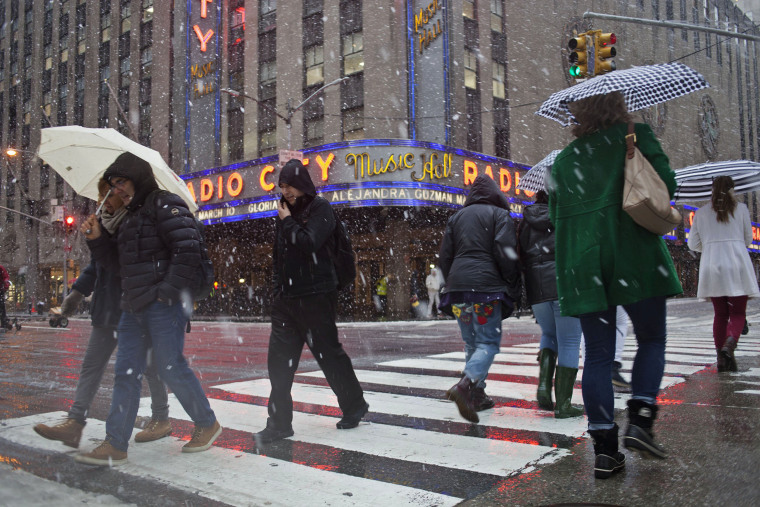 Pedestrians cross the street in front of Radio City Music Hall in Manhattan. 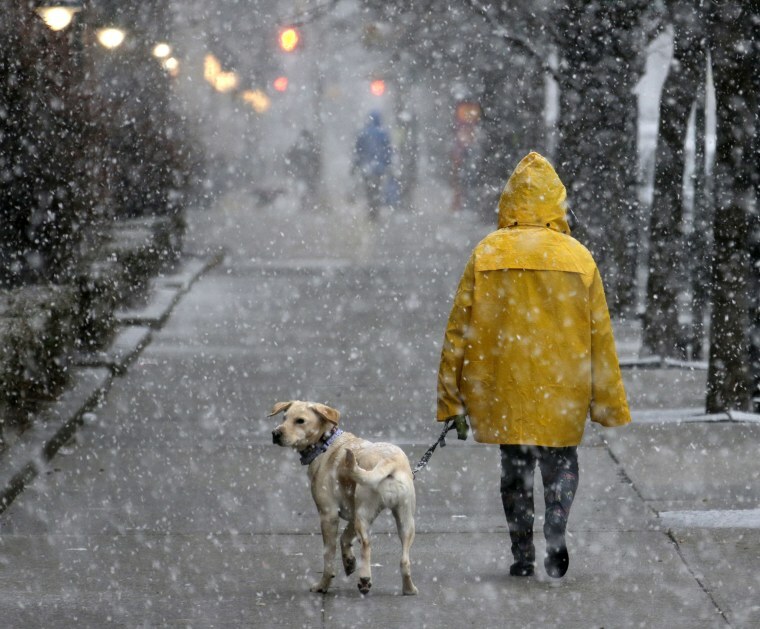 A woman walks her dog in Hoboken. 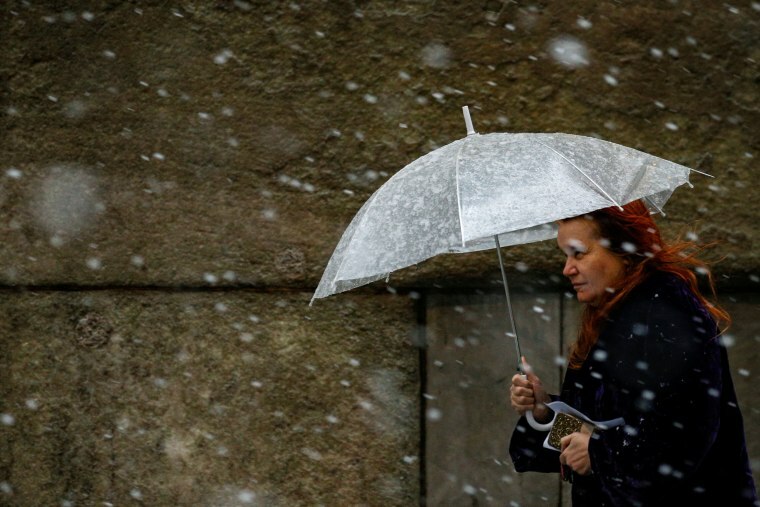 A woman walks through the snow in the financial district. 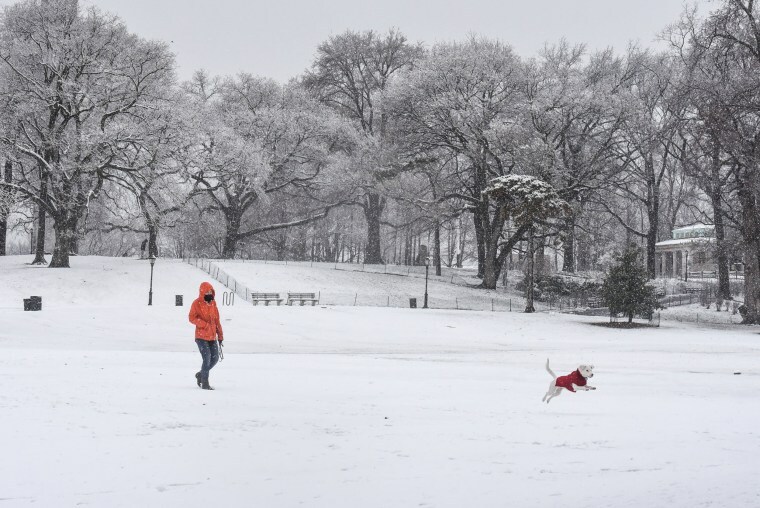 A dog plays in the snow. 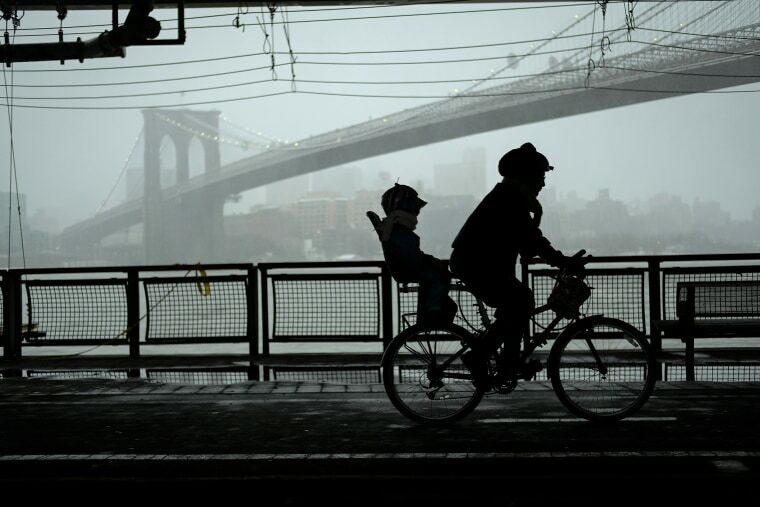 A cyclist and a child ride along the East River Greenway in Manhattan. 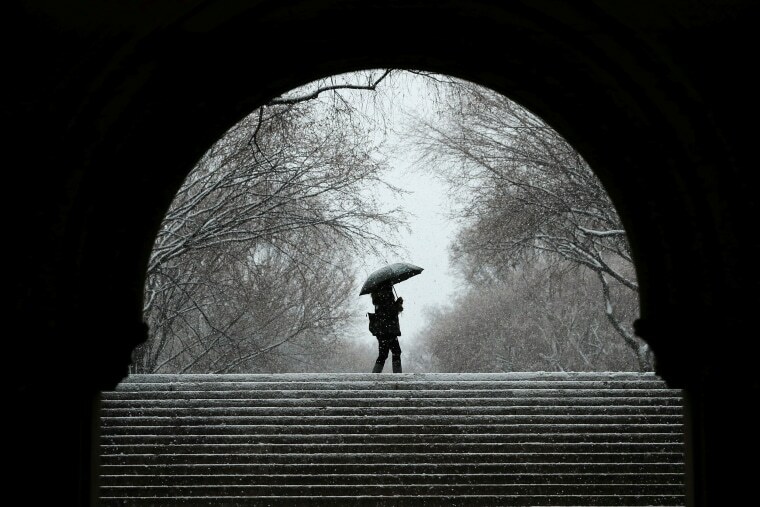 A pedestrian walks through Central Park. 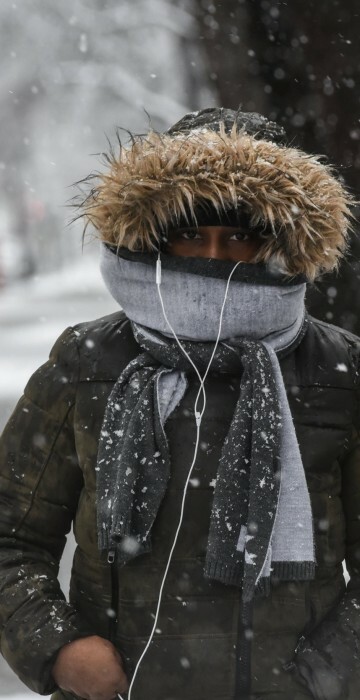 The new storm has caused thousands of canceled flights and could make roads treacherous in major cities, including Philadelphia, New York and Boston.